"Freed market" redirects here. For the general economic concept, see Free market. Left-wing market anarchism, also known as free-market anti-capitalism and free-market socialism, is a form of individualist anarchism and libertarian socialism associated with contemporary scholars such as Kevin Carson, Roderick T. Long, Charles W. Johnson, Brad Spangler, Sheldon Richman, Chris Matthew Sciabarra and Gary Chartier, who stress the value of radically free markets, termed freed markets to distinguish them from the common conception which these libertarians believe to be riddled with statist and capitalist privileges. Referred to as left-wing market anarchists or market-oriented left-libertarians, proponents of this approach strongly affirm the classical liberal ideas of self-ownership and free markets while maintaining that taken to their logical conclusions these ideas support anti-capitalist, anti-corporatist, anti-hierarchical and pro-labor positions in economics; anti-imperialism in foreign policy; and thoroughly radical views regarding such cultural issues as gender, sexuality and race. The genealogy of contemporary market-oriented left-libertarianism, sometimes labeled left-wing market anarchism, overlaps to a significant degree with that of Steiner–Vallentyne left-libertarianism as the roots of that tradition are sketched in the book The Origins of Left-Libertarianism. Carson–Long-style left-libertarianism is rooted in 19th-century mutualism and in the work of figures such as Thomas Hodgskin and American individualist anarchists Benjamin Tucker and Lysander Spooner. While with notable exceptions market-oriented libertarians after Tucker tended to ally with the political right, relationships between such libertarians and the New Left thrived in the 1960s, laying the groundwork for modern left-wing market anarchism. Left-wing market anarchism identifies with left-libertarianism (also known as classical libertarianism or left-wing libertarianism) which names several related yet distinct approaches to politics, society, culture and political and social theory which stress both individual freedom and social justice. Unlike right-libertarians, they believe that neither claiming nor mixing one's labor with natural resources is enough to generate full private property rights and maintain that natural resources (such as land, oil, gold, trees and so on) ought to be held in some egalitarian manner, either unowned or owned collectively. Those left-libertarians who support private property do so under occupation and use property norms or under the condition that recompense is offered to the local or global community. Josiah Warren is widely regarded as the first American anarchist and the four-page weekly paper he edited during 1833, The Peaceful Revolutionist, was the first anarchist periodical published, an enterprise for which he built his own printing press, cast his own type and made his own printing plates. Warren was a follower of Robert Owen and joined Owen's community at New Harmony, Indiana. Josiah Warren termed the phrase "Cost the limit of price", with "cost" here referring not to monetary price paid but the labor one exerted to produce an item. Therefore, "he proposed a system to pay people with certificates indicating how many hours of work they did. They could exchange the notes at local time stores for goods that took the same amount of time to produce". He put his theories to the test by establishing an experimental "labor for labor store" called the Cincinnati Time Store where trade was facilitated by notes backed by a promise to perform labor. The store proved successful and operated for three years after which it was closed so that Warren could pursue establishing colonies based on mutualism. These included Utopia and Modern Times. Warren said that Stephen Pearl Andrews' The Science of Society, published in 1852, was the most lucid and complete exposition of Warren's own theories. Catalan historian Xavier Diez report that the intentional communal experiments pioneered by Warren were influential in European individualist anarchists of the late 19th and early 20th centuries such as Emile Armand and the intentional communities started by them. Mutualism began in 18th-century English and French labour movements before taking an anarchist form associated with Pierre-Joseph Proudhon in France and others in the United States. Proudhon proposed spontaneous order, whereby organisation emerges without central authority, a "positive anarchy" where order arises when everybody does "what he wishes and only what he wishes" and where "business transactions alone produce the social order". It is important to recognize that Proudhon distinguished between ideal political possibilities and practical governance. For this reason, much in contrast to some of his theoretical statements concerning ultimate spontaneous self-governance, Proudhon was heavily involved in French parliamentary politics and allied himself not with Anarchist but Socialist factions of workers movements and in addition to advocating state-protected charters for worker-owned cooperatives, promoted certain nationalization schemes during his life of public service. Mutualist anarchism is concerned with reciprocity, free association, voluntary contract, federation and credit and currency reform. According to the American mutualist William Batchelder Greene, each worker in the mutualist system would receive "just and exact pay for his work; services equivalent in cost being exchangeable for services equivalent in cost, without profit or discount". Mutualism has been retrospectively characterised as ideologically situated between individualist and collectivist forms of anarchism. Proudhon first characterised his goal as a "third form of society, the synthesis of communism and property". Pierre-Joseph Proudhon was a French activist and theorist, the founder of mutualist philosophy, an economist and a libertarian socialist. He was the first person to declare himself an anarchist and is among its most influential theorists. He is considered by many to be the "father of anarchism". He became a member of the French Parliament after the Revolution of 1848, whereupon and thereafter he referred to himself as a federalist. Proudhon, who was born in Besançon, was a printer who taught himself Latin in order to better print books in the language. His best-known assertion is that Property is Theft!, contained in his first major work, What is Property? Or, an Inquiry into the Principle of Right and Government (Qu'est-ce que la propriété? Recherche sur le principe du droit et du gouvernement), published in 1840. The book's publication attracted the attention of the French authorities. It also attracted the scrutiny of Karl Marx, who started a correspondence with its author. The two influenced each other: they met in Paris while Marx was exiled there. Their friendship finally ended when Marx responded to Proudhon's The System of Economic Contradictions, or The Philosophy of Poverty with the provocatively titled The Poverty of Philosophy. The dispute became one of the sources of the split between the anarchist and Marxian wings of the International Working Men's Association. Some, such as Edmund Wilson, have contended that Marx's attack on Proudhon had its origin in the latter's defense of Karl Grün, whom Marx bitterly disliked but who had been preparing translations of Proudhon's work. Proudhon favored workers' associations or co-operatives as well as individual worker/peasant possession over private ownership or the nationalization of land and workplaces. He considered social revolution to be achievable in a peaceful manner. In The Confessions of a Revolutionary Proudhon asserted that, Anarchy is Order Without Power, the phrase which much later inspired, in the view of some, the anarchist circled-A symbol, today "one of the most common graffiti on the urban landscape". He unsuccessfully tried to create a national bank to be funded by what became an abortive attempt at an income tax on capitalists and shareholders. Similar in some respects to a credit union, it would have given interest-free loans. William Batchelder Greene was a 19th-century mutualist individualist anarchist, Unitarian minister, soldier and promoter of free banking in the United States. Greene is best known for the works Mutual Banking(1850), which proposed an interest-free banking system, and Transcendentalism, a critique of the New England philosophical school. American anarchist historian Eunice Minette Schuster states: "It is apparent that Proudhonian Anarchism was to be found in the United States at least as early as 1848 and that it was not conscious of its affinity to the Individualist Anarchism of Josiah Warren and Stephen Pearl Andrews. William B. Greene presented this Proudhonian Mutualism in its purest and most systematic form". After 1850, he became active in labor reform and was elected vice-president of the New England Labor Reform League, the majority of the members holding to Proudhon's scheme of mutual banking. In 1869, he was elected president of the Massachusetts Labor Union. Greene then published Socialistic, Mutualistic, and Financial Fragments (1875). He saw mutualism as the synthesis of "liberty and order". His "associationism is checked by individualism. 'Mind your own business,' "Judge not that ye be not judged". Over matters which are purely personal, as for example moral conduct, the individual is sovereign, as well as over that which he himself produces. For this reason he demands "mutuality" in marriage – the equal right of a woman to her own personal freedom and property". A form of individualist anarchism was found in the United States as advocated by the Boston anarchists. Some Boston anarchists, including Benjamin Tucker and Lysander Spooner, identified themselves as socialists, a term often used in the 19th century in the sense of a commitment to improving conditions of the working class (i.e. the labor problem). The Boston anarchists such as Tucker and his followers are also considered socialists due to their opposition to usury. By around the start of the 20th century, the heyday of individualist anarchism had passed, On the other hand, anarchist historian George Woodcock describes Spooner's essays as an "eloquent elaboration" of Josiah Warren and the early American development of Proudhon's ideas and associates his works with that of Stephen Pearl Andrews. Woodcock also reports that both Spooner and Greene had been members of the socialist First International. American individualist anarchist Benjamin Tucker identified as a socialist and argued that the elimination of what he called the four monopolies, namely the land monopoly, the money and banking monopoly, the monopoly powers conferred by patents and the quasi-monopolistic effects of tariffs, would undermine the power of the wealthy and big business, making possible widespread property ownership and higher incomes for ordinary people, while minimizing the power of would-be bosses and achieving socialist goals without state action. Tucker influenced and interacted with anarchist contemporaries, including Spooner, Voltairine de Cleyre, Dyer D. Lum, and William B. Greene, who have in various ways influenced later left-libertarian thinking. Kevin Carson characterizes American individualist anarchism by saying: "Unlike the rest of the socialist movement, the individualist anarchists believed that the natural wage of labor in a free market was its product and that economic exploitation could only take place when capitalists and landlords harnessed the power of the state in their interests. Thus, individualist anarchism was an alternative both to the increasing statism of the mainstream socialist movement and to a liberal movement that was moving toward a mere apologetic for the power of big business. Two individualist anarchists who wrote in Benjamin Tucker's Liberty were also important labor organizers of the time. Joseph Labadie and Dyer Lum. Kevin Carson has praised Dyer Lum's fusion of individualist laissez-faire economics with radical labor activism as "creative" and described him as "more significant than any in the Boston group". 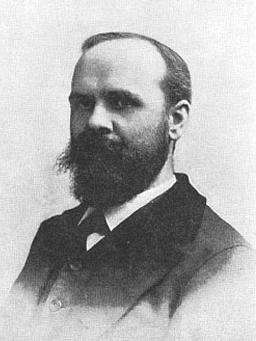 Some of the American individualist anarchists later in this era such as Benjamin Tucker abandoned natural rights positions and converted to Max Stirner's egoist anarchism. Rejecting the idea of moral rights, Tucker said that there were only two rights, "the right of might" and "the right of contract". He also said after converting to egoist individualism: "In times past it was my habit to talk glibly of the right of man to land. It was a bad habit, and I long ago sloughed it off. Man's only right to land is his might over it". In adopting Stirnerite egoism in 1886, Tucker rejected natural rights which had long been considered the foundation of libertarianism. This rejection galvanized the movement into fierce debates, with the natural rights proponents accusing the egoists of destroying libertarianism itself. So bitter was the conflict that a number of natural rights proponents withdrew from the pages of Liberty in protest even though they had hitherto been among its frequent contributors. Thereafter, Liberty championed egoism although its general content did not change significantly. Geolibertarianism, an anarchist form of Henry George's philosophy called geoism, is considered left-libertarian because it assumes land to be initially owned in common, so that when land is privately appropriated the proprietor pays rent to the community. Geolibertarians generally advocate distributing the land rent to the community via a land value tax as proposed by Henry George and others before him. For this reason, they are often called "single taxers". Fred E. Foldvary coined the word geo-libertarianism in an article so titled in Land and Liberty. In the case of geoanarchism, the voluntary form of geolibertarianism as described by Foldvary, rent would be collected by private associations with the opportunity to secede from the rent-sharing community and not receive the community's services. Similar economic positions also existed within European individualist anarchism. French individualist anarchist Émile Armand shows clearly opposition to capitalism and centralized economies when he said that the individualist anarchist "inwardly he remains refractory – fatally refractory – morally, intellectually, economically (The capitalist economy and the directed economy, the speculators and the fabricators of single are equally repugnant to him.)". He argued for a pluralistic economic logic when he said: "Here and there everything happening – here everyone receiving what they need, there each one getting whatever is needed according to their own capacity. Here, gift and barter – one product for another; there, exchange – product for representative value. Here, the producer is the owner of the product, there, the product is put to the possession of the collectivity". Spanish individualist anarchist Miguel Gimenez Igualada thought that "capitalism is an effect of government; the disappearance of government means capitalism falls from its pedestal vertiginously. That which we call capitalism is not something else but a product of the State, within which the only thing that is being pushed forward is profit, good or badly acquired. And so to fight against capitalism is a pointless task, since be it State capitalism or Enterprise capitalism, as long as Government exists, exploiting capital will exist. The fight, but of consciousness, is against the State". His view on class division and technocracy are as follows: "Since when no one works for another, the profiteer from wealth disappears, just as government will disappear when no one pays attention to those who learned four things at universities and from that fact they pretend to govern men. Big industrial enterprises will be transformed by men in big associations in which everyone will work and enjoy the product of their work. And from those easy as well as beautiful problems anarchism deals with and he who puts them in practice and lives them are anarchists. The priority which without rest an anarchist must make is that in which no one has to exploit anyone, no man to no man, since that non-exploitation will lead to the limitation of property to individual needs". The doyen of modern American market-oriented libertarianism, Austrian School economist Murray Rothbard, was initially an enthusiastic partisan of the Old Right, particularly because of its general opposition to war and imperialism. However, Rothbard had long embraced a reading of American history that emphasized the role of elite privilege in shaping legal and political institutions—one that was thus naturally agreeable to many on the left—and he came increasingly in the 1960s to seek alliances on the left, especially with members of the New Left, in light of the Vietnam War, the military draft and the emergence of the Black Power movement. Working with other radicals like Ronald Radosh and Karl Hess, Rothbard argued that the consensus view of American economic history, according to which a beneficent government has used its power to counter corporate predation, is fundamentally flawed. Rather, he argued, government intervention in the economy has largely benefited established players at the expense of marginalized groups to the detriment of both liberty and equality. Moreover, the "Robber Baron" period, hailed by the right and despised by the left as a heyday of laissez-faire, was not characterized by laissez-faire at all but was in fact a time of massive state privilege accorded to capital. In tandem with his emphasis on the intimate connection between state and corporate power, he defended the seizure of corporations dependent on state largesse by workers and others. Rothbard himself ultimately broke with the left, allying himself instead with the burgeoning paleoconservative movement. However, drawing on the work of Rothbard during his alliance with the left and on the thought of Karl Hess, some thinkers associated with market-oriented American libertarianism came increasingly to identify with the left on a range of issues, including opposition to war, corporate oligopolies and state-corporate partnerships and an affinity for cultural liberalism. One variety of this kind of libertarianism has been a resurgent mutualism, incorporating modern economic ideas such as marginal utility theory into mutualist theory. Kevin A. Carson's Studies in Mutualist Political Economy helped to stimulate the growth of new-style mutualism, articulating a version of the labor theory of value incorporating ideas drawn from Austrian economics. Other market-oriented left-libertarians have declined to embrace mutualist views of real property, while sharing the mutualist opposition to corporate hierarchies and wealth concentration. Left-libertarians have placed particular emphasis on the articulation and defense of a libertarian theory of class and class conflict, though considerable work in this area has been performed by libertarians of other persuasions. Though anarcho-capitalism has been regarded by some as a form of individualist anarchism, anarcho-capitalist author Murray Rothbard stated that individualist anarchism is different from capitalism due to the individualist anarchists retaining the labor theory of value  and many writers deny that anarcho-capitalism is a form of anarchism at all, or that capitalism itself is compatible with anarchism. Left-libertarians favor worker solidarity vis-à-vis bosses, support poor people's squatting on government or abandoned property, and prefer that corporate privileges be repealed before the regulatory restrictions on how those privileges may be exercised. They see Walmart as a symbol of corporate favoritism – supported by highway subsidies and eminent domain – view the fictive personhood of the limited-liability corporation with suspicion, and doubt that Third World sweatshops would be the "best alternative" in the absence of government manipulation. Left-libertarians tend to eschew electoral politics, having little confidence in strategies that work through the government. They prefer to develop alternative institutions and methods of working around the state. Gary Chartier has joined Kevin Carson, Charles W. Johnson and others (echoing the language of Benjamin Tucker and Thomas Hodgskin) in maintaining that because of its heritage and its emancipatory goals and potential radical market anarchism should be seen by its proponents and by others as part of the socialist tradition and that market anarchists can and should call themselves socialists. There is also a tendency to support labor struggles. Kevin Carson has praised individualist anarchist Dyer Lum's fusion of individualist economics with radical labor activism as "creative" and described him as "more significant than any in the Boston group". Roderick T. Long is an advocate of "build[ing] worker solidarity. On the one hand, this means formal organisation, including unionization – but I'm not talking about the prevailing model of "business unions," [...] but real unions, the old-fashioned kind, committed to the working class and not just union members, and interested in worker autonomy, not government patronage". Contemporary free-market left-libertarians also show markedly more sympathy than mainstream or paleolibertarians towards various cultural movements which challenge non-governmental relations of power. For instance, left-libertarians Roderick T. Long and Charles W. Johnson have called for a recovery of the 19th-century alliance with radical liberalism and feminism. While adopting familiar libertarian views, including opposition to drug prohibition, gun control, civil liberties violations and war, left-libertarians are more likely than most self-identified libertarians to take more distinctively leftist stances on issues as diverse as feminism, gender and sexuality, class, immigration and environmentalism. Especially influential regarding these topics have been scholars including Chris Matthew Sciabarra, Roderick T. Long, Charles W. Johnson and Arthur Silber. Left-market anarchism does not have any strict agreement what constitutes legitimate property titles. Arguments have been made for Rothbardian, Georgist, mutualist and utilitarian approaches to determining legitimate property claims. Such discrepancies are resolved through deliberation mechanisms like the polycentric law. They also recognizes the importance of property held and managed in common as a way of maintaining common goods. Kevin Carson describes his politics as on "the outer fringes of both free market libertarianism and socialism". He has identified the work of Benjamin Tucker, Thomas Hodgskin, Ralph Borsodi, Paul Goodman, Lewis Mumford, Elinor Ostrom, Peter Kropotkin and Ivan Illich as sources of inspiration for his approach to politics and economics. In addition to individualist anarchist Benjamin Tucker's "big four" monopolies (land, money, tariffs and patents), Carson argues that the state has also transferred wealth to the wealthy by subsidizing organizational centralization in the form of transportation and communication subsidies. He believes that Tucker overlooked this issue due to Tucker's focus on individual market transactions whereas Carson also focuses on organizational issues. The theoretical sections of Studies in Mutualist Political Economy are presented as an attempt to integrate marginalist critiques into the labor theory of value. Carson has also been highly critical of intellectual property. The primary focus of his most recent work has been decentralized manufacturing and the informal and household economies. In response to claims that he uses the term capitalism incorrectly, Carson says he is deliberately choosing to resurrect what he claims to be an old definition of the term in order to "make a point". He claims that "the term 'capitalism,' as it was originally used, did not refer to a free market, but to a type of statist class system in which capitalists controlled the state and the state intervened in the market on their behalf". Carson holds that "capitalism, arising as a new class society directly from the old class society of the Middle Ages, was founded on an act of robbery as massive as the earlier feudal conquest of the land. It has been sustained to the present by continual state intervention to protect its system of privilege without which its survival is unimaginable”. Carson argues that in a truly laissez-faire system, the ability to extract a profit from labor and capital would be negligible. Carson coined the pejorative term vulgar libertarianism, a phrase that describes the use of a free market rhetoric in defense of corporate capitalism and economic inequality. According to Carson, the term is derived from the term vulgar political economy, a phrase which Karl Marx described as an economic order that "deliberately becomes increasingly apologetic and makes strenuous attempts to talk out of existence the ideas which contain the contradictions [existing in economic life]". Gary Chartier offers an understanding of property rights as contingent yet tightly constrained social strategies, reflective of the importance of multiple, overlapping rationales for separate ownership and of natural law principles of practical reasonableness, defending robust but non-absolute protections for these rights in a manner similar to that employed by David Hume. This account is distinguished both from Lockean and neo-Lockean views which deduce property rights from the idea of self-ownership and from consequentialist accounts that might license widespread ad hoc interference with the possessions of groups and individuals. Chartier uses this account to ground a clear statement of the natural law basis for the view that solidaristic wealth redistribution by individual persons is often morally required, but as a response by individuals and grass-roots networks to particular circumstances rather than as a state-driven attempt to achieve a particular distributive pattern. He advances detailed arguments for workplace democracy rooted in such natural law principles as subsidiarity, defending it as morally desirable and as a likely outcome of the elimination of injustice rather than as something to be mandated by the state. He discusses natural law approaches to land reform and to the occupation of factories by workers. Chartier objects on natural law grounds to intellectual property protections, drawing on his theory of property rights more generally and develops a general natural law account of boycotts. He has argued that proponents of genuinely freed markets should explicitly reject capitalism and identify with the global anti-capitalist movement while emphasizing that the abuses the anti-capitalist movement highlights result from state-tolerated violence and state-secured privilege rather than from voluntary cooperation and exchange. According to Chartier, "it makes sense for [left-libertarians] to name what they oppose "capitalism." Doing so [...] ensures that advocates of freedom aren't confused with people who use market rhetoric to prop up an unjust status quo, and expresses solidarity between defenders of freed markets and workers – as well as ordinary people around the world who use "capitalism" as a short-hand label for the world-system that constrains their freedom and stunts their lives". ^ "But there has always been a market-oriented strand of libertarian socialism that emphasizes voluntary cooperation between producers. And markets, properly understood, have always been about cooperation. As a commenter at Reason magazine's Hit&Run blog, remarking on Jesse Walker's link to the Kelly article, put it: “every trade is a cooperative act.” In fact, it's a fairly common observation among market anarchists that genuinely free markets have the most legitimate claim to the label “socialism.”" "Socialism: A Perfectly Good Word Rehabilitated" by Kevin Carson at website of Center for a Stateless Society. ^ Carson, Kevin A. (2010). The Homebrew Industrial Revolution: A Low-Overhead Manifesto. Charleston, SC:BookSurge. ^ a b c Sheldon Richman (3 February 2011). "Libertarian Left: Free-market anti-capitalism, the unknown ideal." The American Conservative. Retrieved 5 March 2012. ^ Chartier, Gary; Johnson, Charles W. (2011). Markets Not Capitalism: Individualist Anarchism Against Bosses, Inequality, Corporate Power, and Structural Poverty. Brooklyn, NY:Minor Compositions/Autonomedia. pp. 1–16. ^ Long, Roderick T. (2006). "Rothbard's 'Left and Right': Forty Years Later." Rothbard Memorial Lecture, Austrian Scholars Conference. ^ Related, arguably synonymous, terms include libertarianism, left-wing libertarianism, egalitarian-libertarianism and libertarian socialism. Sundstrom, William A. ""An Egalitarian-Libertarian Manifesto" Archived 29 October 2013 at the Wayback Machine." Bookchin, Murray and Biehl, Janet (1997). The Murray Bookchin Reader. New York: Cassell. p. 170. Sullivan, Mark A. (July 2003). "Why the Georgist Movement Has Not Succeeded: A Personal Response to the Question Raised by Warren J. Samuels." American Journal of Economics and Sociology. 62:3. p. 612. ^ Vallentyne, Peter; Steiner, Hillel; Otsuka, Michael (2005). "Why Left-Libertarianism Is Not Incoherent, Indeterminate, or Irrelevant: A Reply to Fried" (PDF). Philosophy and Public Affairs. Blackwell Publishing, Inc. 33 (2). Archived from the original (PDF) on 3 November 2012. Retrieved 23 July 2013. ^ a b Narveson, Jan; Trenchard, David (2008). "Left libertarianism". In Hamowy, Ronald. The Encyclopedia of Libertarianism. Thousand Oaks, CA: SAGE; Cato Institute. pp. 288–289. doi:10.4135/9781412965811.n174. ISBN 978-1-4129-6580-4. LCCN 2008009151. OCLC 750831024. ^ a b Narveson, Jan; Trenchard, David (2008). "Left libertarianism". In Hamowy, Ronald. The Encyclopedia of Libertarianism. Thousand Oaks, CA: SAGE; Cato Institute. pp. 288–289. doi:10.4135/9781412965811.n174. ISBN 978-1-4129-6580-4. LCCN 2008009151. OCLC 750831024. Left libertarians regard each of us as full self-owners. However, they differ from what we generally understand by the term libertarian in denying the right to private property. We own ourselves, but we do not own nature, at least not as individuals. Left libertarians embrace the view that all natural resources, land, oil, gold, and so on should be held collectively. To the extent that individuals make use of these commonly owned goods, they must do so only with the permission of society, a permission granted only under the proviso that a certain payment for their use be made to society at large. ^ "A member of a community," The Mutualist; this 1826 series criticised Robert Owen's proposals, and has been attributed to a dissident Owenite, possibly from the Friendly Association for Mutual Interests of Valley Forge; Wilbur, Shawn, 2006, "More from the 1826 "Mutualist"?". ^ Proudhon, Solution to the Social Problem, ed. H. Cohen (New York: Vanguard Press, 1927), p. 45. ^ Proudhon, Pierre-Joseph (1979). The Principle of Federation. Toronto: University of Toronto Press. ISBN 0-8020-5458-7. The notion of anarchy in politics is just as rational and positive as any other. It means that once industrial functions have taken over from political functions, then business transactions alone produce the social order. ^ "Communism versus Mutualism", Socialistic, Communistic, Mutualistic and Financial Fragments. (Boston: Lee & Shepard, 1875) William Batchelder Greene: "Under the mutual system, each individual will receive the just and exact pay for his work; services equivalent in cost being exchangeable for services equivalent in cost, without profit or discount; and so much as the individual laborer will then get over and above what he has earned will come to him as his share in the general prosperity of the community of which he is an individual member." ^ Pierre-Joseph Proudhon. What Is Property? Princeton, MA: Benjamin R. Tucker, 1876. p. 281. ^ Brooks, Frank H. 1994. The Individualist Anarchists: An Anthology of Liberty (1881–1908). Transaction Publishers. p. 75. ^ Stanford, Jim. Economics for Everyone: A Short Guide to the Economics of Capitalism. Ann Arbor: MI., Pluto Press. 2008. p. 36. ^ Avrich, Paul. 2006. Anarchist Voices: An Oral History of Anarchism in America. AK Press. p. 6. ^ Woodcock, G. (1962). Anarchism: A History of Libertarian Ideas and Movements. Melbourne: Penguin. p. 434. ^ Woodcock, G. (1962). Anarchism: A History of Libertarian Ideas and Movements. Melbourne: Penguin. p. 460. ^ On the nineteenth-century American individualist anarchists, see James J. Martin, Men against the State: The Expositors of Individualist Anarchism in America (Colorado Springs, CO: Myles 1970). ^ a b Carson, Kevin. "May Day Thoughts: Individualist Anarchism and the Labor Movement". Mutualist Blog: Free Market Anti-Capitalism. ^ Wendy McElroy, "Benjamin Tucker, Individualism, & Liberty: Not the Daughter but the Mother of Order"
^ "Geoanarchism by Fred Foldvary". Anti-state.com. 2001-07-15. Retrieved 2013-03-26. ^ Foldvary, Fred E. (2001-07-15). "Geoanarchism". anti-state.com. Retrieved 2009-04-15. ^ ""Anarchist Individualism as a Life and Activity" by Emile Armand". Spaz.org. 2002-03-01. Retrieved 2013-10-11. ^ See Justin Raimondo, An Enemy of the State: The Life of Murray N. Rothbard (Amherst, NY: Prometheus 2001). ^ See Brian M. Doherty, Radicals for Capitalism: A Freewheeling History of the Modern American Libertarian Movement (New York: Public Affairs 2007) 338. ^ See Murray N. Rothbard and Ronald Radosh, eds., A New History of Leviathan: Essays on the Rise of the American Corporate State (New York: Dutton 1972). ^ Cp. Karl Hess, Dear America (New York: Morrow 1975). ^ On partnerships between the state and big business and the role of big business in promoting regulation, see Gabriel Kolko, The Triumph of Conservatism: A Reinterpretation of American History, 1900–1916 (New York: Free 1977); Butler Shaffer, In Restraint of Trade: The Business Campaign against Competition, 1918–1938 (Auburn, AL: Mises 2008). ^ Rothbard, Murray N. (15 June 1969). “Confiscation and the Homestead Principle." Libertarian Forum. 1:6. pp. 3–4. ^ See Raimondo 277–78; Doherty 562–65. ^ See Kevin A. Carson, Studies in Mutualist Political Economy (Charleston, SC: BookSurge 2007). This book was the focus of a symposium in the Journal of Libertarian Studies. ^ See, e.g., Roderick T. Long, “Land Locked: A Critique of Carson on Property Rights,” Journal of Libertarian Studies 20.1 (Winter 2006): 87–95. ^ Sheldon Richman, “Class Struggle Rightly Conceived,” The Goal Is Freedom (Foundation for Economic Education, July 13, 2007); Nock, Our Enemy, the State; Franz Oppenheimer, The State (San Francisco: Fox 1997); Tom G. Palmer, "Classical Liberalism, Marxism, and the Conflict of Classes: The Classical Liberal Theory of Class Conflict," Realizing Freedom: Libertarian Theory, History, and Practice (Washington: Cato 2009) 255–76; Wally Conger, Agorist Class Theory: A Left Libertarian Approach to Class Conflict Analysis Archived 2016-03-04 at the Wayback Machine (Agorism.info, n.d.); Kevin A. Carson, “Another Free-for-All: Libertarian Class Analysis, Organized Labor, Etc.,” Mutualist Blog: Free-Market Anti-Capitalism (n.p., Jan. 26, 2006); Walter E. Grinder and John Hagel, “Toward a Theory of State Capitalism: Ultimate Decision Making and Class Structure,” Journal of Libertarian Studies 1.1 (1977): 59–79; David M. Hart, “The Radical Liberalism of Charles Comte and Charles Dunoyer” (PhD diss., U of Cambridge, 1994); Hans-Hermann Hoppe, “Marxist and Austrian Class Analysis,” Journal of Libertarian Studies 9.2 (1990): 79–93; Roderick T. Long, “Toward a Libertarian Theory of Class,” Social Philosophy and Policy 15.2 (Sum. 1998): 303–49. ^ Bottomore, Tom (1991). "Anarchism". A Dictionary of Marxist Thought. Oxford: Blackwell Reference. p. 21. ISBN 0-63118082-6. Raico, Ralph. Authentic German Liberalism of the 19th Century, École Polytechnique, Centre de Recherche en Épistémologie Appliquée, Unité associée au CNRS, 2004. ^ Rothbard, Murray. Are Libertarians 'Anarchists'?. LewRockwell.com. Peikoff, Leonard. 'Objectivism: The Philosophy of Ayn Rand' Dutton Adult (1991) Chapter "Government"
^ See Gary Chartier, "Advocates of Freed Markets Should Oppose Capitalism," "Free-Market Anti-Capitalism?" session, annual conference, Association of Private Enterprise Education (Cæsar's Palace, Las Vegas, NV, April 13, 2010); Gary Chartier, "Advocates of Freed Markets Should Embrace 'Anti-Capitalism'"; Gary Chartier, Socialist Ends, Market Means: Five Essays. Cp. Tucker, "Socialism." ^ Richman, Sheldon (February 3, 2011). "Libertarian Left". The American Conservative. Retrieved April 16, 2014. ^ Roderick T. Long. "How to Reach the Left". ^ Long, Roderick T.; Johnson, Charles W. (1 May 2005). "Libertarian Feminism: Can this Marriage Be Saved?" Molinari Society. ^ Dean, Brian (Winter 2002). "Bluffer's Guide to Revolutionary Economics". The Idler. Retrieved May 24, 2009. Kevin A. Carson, The Iron Fist behind the Invisible Hand: Corporate Capitalism As a State-Guaranteed System of Privilege (Nanaimo, BC: Red Lion 2001). Kevin A. Carson, Austrian and Marxist Theories of Monopoly-Capital (London: Libertarian Alliance 2004). Kevin A. Carson, Contract Feudalism: A Critique of Employer Power Over Employees (London: Libertarian Alliance 2006). Kevin A. Carson, The Ethics of Labor Struggle: A Free Market Perspective (n.p. : Alliance of the Libertarian Left 2008. Chartier, Gary. The Conscience of an Anarchist (2011) Apple Valley, CA: Cobden Press. ISBN 978-1439266991. OCLC 760097242. Chartier, Gary. Economic Justice and Natural Law (2009). Cambridge: Cambridge University Press. ISBN 978-0521767200. OCLC 318871444. Chartier, Gary; Johnson, Charles W. (2011). Markets Not Capitalism: Individualist Anarchism Against Bosses, Inequality, Corporate Power, and Structural Poverty. Brooklyn, NY:Minor Compositions/Autonomedia. Chartier, Gary. Anarchy and Legal Order: Law and Politics for a Stateless Society. (2013) New York: Cambridge University Press. ISBN 978-1107032286. OCLC 795645156.